WE PROVIDE UNIFORMS ACCORDING TO THIS SIZE CHART. White, Red , Blue, Black. Pants have elastic & draw string waist. Full sleeves or short sleeves according to demand. 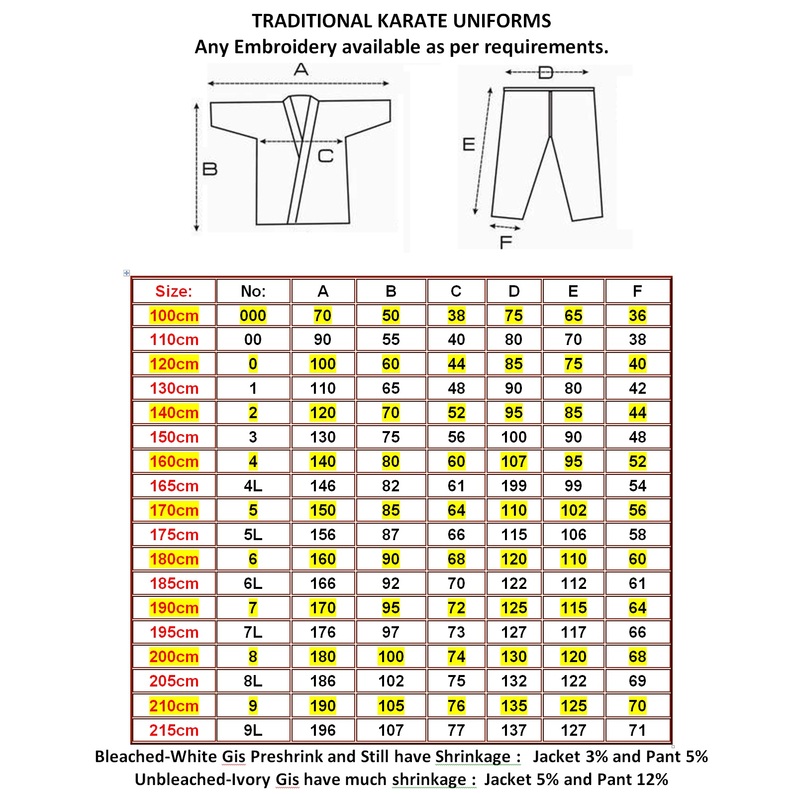 6oz – 10oz Light uniform include white belt. All Sizes are produced in 0000 to 7.